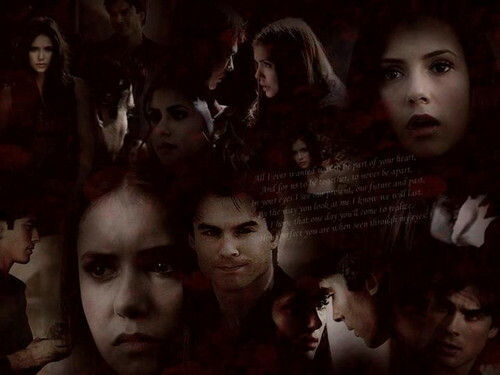 Elena & Damon. . HD Wallpaper and background images in the The Vampire Diaries club tagged: the vampire diaries. This The Vampire Diaries wallpaper might contain anime, fumetti, manga, and cartoni animati. I liked this :)) which site did you use? ?